The 3000 series thermometer calibrators are small and lightweight heat sources, ideal for checking the accuracy of digital thermometers and temperature probes. The thermometer calibrators have a temperature range of 33 to 300°C with a resolution of 0.1°C. 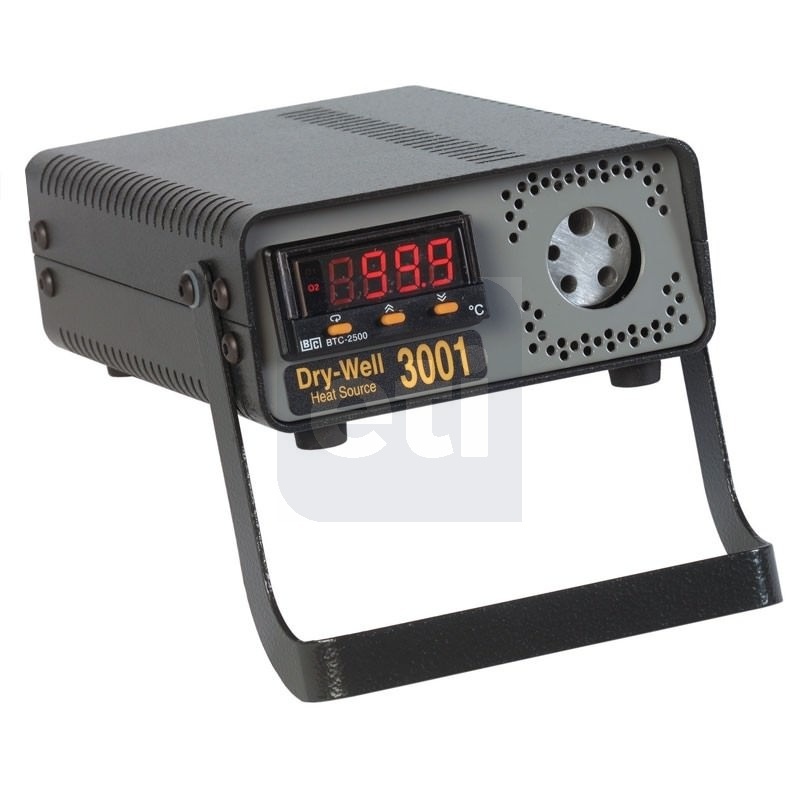 These dry-well calibrators offer a high level of stability (±0.5°C) and a stabilisation time of five minutes. Plug it in, switch it on, set the verification temperature with the front panel buttons and insert your probe into the correct size well. Compare the temperature reading of your thermometer to the display and the difference is the error. The 3001 dry-well will accept probe sizes Ø3.3, 4, 4.76 and 6.35mm. The 3002 dry-well will accept probe sizes Ø3.3, 4.76, 6.35 and 9.6mm. The 3003 dry-well will accept probe sizes Ø4.76 and 12.7mm.